After you leave the service you need to find something to do with the rest of your life. Unless, of course, you are independently wealthy or have figured out how to live the life of Reilly on your pension. Since most of us are in neither of those predicaments we have to decide what should come next in our lives. There are many opportunities that veterans can pursue, such as an education, finding a trade, getting a job, or even moving back home with the parents. Each opportunity has its allure, but other than moving back into your old room at your folk’s house they all involve a commitment to change your direction in life. For some, going to college makes sense. For others, pursuing a trade is a better idea. For those with the pressing need for employment skipping an education and getting into the labor market is the right answer. This post is for those veterans — the ones who need to get into the workforce as quickly as possible. One of the most difficult parts of transition is finding a way to successfully bring your military skills into a civilian work environment. One way that you can leverage your experience as a leader, manager, and technical expert is to determine what careers are best suited for your talents. Another way to leverage them is to pursue practical training that will result in a certificate (as opposed to a college degree) that will prove your ability to perform in a business environment. There are a lot of certificates out there, and a lot of agencies that offer them. Some are tremendous opportunities and some are complete garbage, so you need to be very careful when you follow the certification path. A friend of mine who is familiar with the certification process introduced me to UCLA’s Extension Certificate Program. The program is an adult professional education opportunity for those people who are looking for specific training and education in a defined sector such as human resources, project management, global sustainability, nonprofit management, or one of the many others that they offer. While this is not particularly groundbreaking (because lots of universities have adult professional education programs) I found one aspect of their model to be tremendously useful. They offer an analysis tool on their website which can help you determine if a certificate program is for you, and in addition to help p0int you in the direction of the certificate best suited to your experience, learning style, and goals. I surfed to their website (www.empowered.com) and took the assessment. It took a few minutes, but once I was finished I learned that I was suited for project management. It described what a project manager does and it all sounded interesting and right up my alley. Although I am not personally looking for a PM certificate, the assessment was thorough and identified my strengths and talents. Pretty neat, really. So I recommend that you go to http://www.empowered.com and check it out. There is no obligation, and you just may find something that interests you. I learned a little about myself, and you will too — especially if you are looking to make yourself marketable in the corporate sector, where certificates are recognized and serve as a differentiator between job candidates. Check it out- I did! Finding a job is a process, and a critical part of that process is having a resume that will entice prospective employers into calling you in for an interview. We’re going to be taking a few deep dives into the wonderful world of resumes over the next few posts, but before we put pen to paper or electron to screen let’s talk a little about resumes in general. There are as many opinions about resumes as there are people who write and read them. Just type “Resume” into Google and you will find over 80 million results. Clicking a few links will take you to sites that proclaim that resumes are dead and that the “new” business world uses social media to find employees while other sites say that traditional resumes are the key to finding work at established and respectable companies. What I am writing about are the things that I have learned and used to get jobs after leaving the military, so keep that in mind as we talk about resumes. I have used all three types in my pursuit of employment, and all three have resulted in job offers. There are three basic types of standard resumes, and each has its place depending on the circumstance and type of job you are pursuing. In today’s post we will take a look at the style that is most commonly used: The Chronological style. The chronological form of a resume is the simplest of the three to put together. In simple terms it tells the story of your professional life and career history to the prospective employer, who then decides whether or not you are worth bringing in to meet in person. It shows the relevance of your work experience over time. It is actually a “reverse-chronological” resume because you list your most recent experience first and work backwards from there, but everyone just calls it the chronological style for simplicity’s sake. Since it shows your most recent work first, you can highlight your current skill set and talents up front and show how you have garnered experience and developed those skills over time. It is fact based. Since you list your experience on a timeline you can show when you learned your skills, where and when you received relevant education and training, and articulate your experience to show how you have grown professionally over time. It is a universal format that is understood across industries and around the world. It can add credibility by showing what organizations you have worked in and the duties you performed in them throughout your career. This can also be a con, however, because you must remember that civilian hiring managers have no idea about military units or service jargon, so you need to be able to put your experience into terms that they will understand. This is not a good format in cases where you have little or no experience to show. For example, if you were in the military for one enlistment this format will probably work to your disadvantage because you don’t have that much to show for experience over time. In that case, a functional resume (which we’ll talk about in a future post) is probably a better format to use. It is also not a good format in cases where you have large time gaps in your experience base. Since it the format is a timeline, having gaps of a year or two here and there may raise a few eyebrows on the employer’s side of the fence. Likewise, if you have switched jobs frequently then this may not be the best format to use. That telegraphs to the employer that you may not be committed to working for them in the long term. It also may not be a good format for people looking for specific jobs in specific industries that require specific skills – the combination or functional formats are much better suited for those circumstances. 1) Your name and contact information, including your telephone number and email address. As I wrote earlier, make sure that your telephone number is one that you can control (i.e., your cel phone) because you don’t want your preschooler answering the phone when a potential employer calls. It may be cute, but you probably won’t get the message that they called. Also, make sure your voicemail greeting is professional sounding – “Yo, dude, I am getting hammered right now and can’t answer my phone!” will not result in a job offer. Trust me! Likewise, make sure your email address is not offensive or controversial. If yours is “drunkguy@whatever.com” then get a free gmail or yahoo email address and use it solely for job search purposes. I don’t recommend including your home address on your resume, though, because you cannot control where it will end up. Identity thieves are everywhere. 2) A summary statement. This is a thumbnail sketch of who you are in terms of your experience. Not everyone agrees that you need one, but I include one in my resume to get the attention of the reader as quickly as possible- after all, they are reading hundreds of these things and if you don’t grab their interest quickly your resume will land in the trash can. 3) Your experience over time. This is the meat of the resume. Here is where you need to show what you are made of and what you have done in such a manner that the employer will like what they see. It is a remarkably difficult task to be able to strip down a lifetime’s worth of experience into less than two pages, so be ready to spend some time on this section. I recommend that you include no more than ten years worth of experience (for those with more) because anything beyond that timeframe is pretty dated, and the most relevant stuff is the most recent stuff anyway. The format I use lists my job title first along with the associated dates, and then put a few bullets underneath that show what I did in that job. It took me a lot of practice to write my military experience down in such a way that a non-military person could understand it. Also, look at how the bullets are formed: They follow the “action verb” format, meaning that they show that I did something followed by the effects of what I did. This resonates much more than using the passive tense. 4) Your education and other pertinent info. The education bit is self explanatory, but what about certifications, awards, or other things that you have done that reinforce your work history or differentiate you from the pack? This is where they go. For my resume, I include things like awards I have received, associations I am affiliated with, and applicable qualifications and certifications. Things not to include are your hobbies, marital status, family information, or anything not related to the job you are seeking. Those things can be distractors for the reader and may actually turn them off; if you write that you are an avid hunter and the reader is a vegetarian then you are in for trouble. Also, you only have two pages, so don’t waste space on things that don’t matter! At any rate, the chronological style is the best resume type to start with. You will use elements of it for the other two formats as well, so you won’t have to reinvent any wheels. The internet is full of samples that you can check out. Here is what my chronological resume from when I left active duty looks like: Chronological Resume , so feel free to follow the style I used or branch out on your own. For what it’s worth, this particular resume resulted in a job offer. 1. Of the three basic resume types, the Chronological Style is the most common and most widely used. 2. It is best for those who have no interruptions in their job history and can show a logical progression in education, skills, and experience over time. 3. It is not the best resume for very specific skill sets or for those with very little experience or education to show. The functional format is best for those circumstances. 4. Only include the things that matter; keep your hobbies personal items off of the resume. 5. Proofread, proofread, proofread. Then proofread again. Believe it or not, I just saw a typo on the resume I included in this post. See if you can find it…. 6. Make it professional, and keep it to two pages! SgtMaj (Retired) Frank Pulley, a good friend of mine who is actively involved with military transition while representing the Marine Corps Association and Foundation recently introduced me to a remarkably innovative organization that offers a variety of opportunities for veterans and active duty folks to pursue higher education. Promising education in and of itself is not particularly innovative – there are plenty of companies and schools in that business – but what makes this venture noteworthy is how it provides a comprehensive path from prospective student to employed graduate by working closely with colleges, universities, governmental agencies, and prospective employers. The name of this great organization is Fidelis. Named the Fast Company magazine’s #7 Most Innovative Company in early 2012, it was created by former Marine Captain and Iraq combat veteran Gunnar Counselman. The company’s mission is to build a scalable solution to the military-to-civilian career transition in partnership with leading universities, military organizations, and great companies. The idea for the company arose from Gunnar’s experience as he transitioned from active duty to the private sector. As a veteran fresh from the fight in Iraq he entered the Harvard Business School, and upon graduation started a very successful career in the civilian world with a top-tier consulting firm. 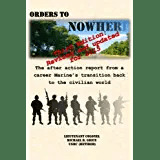 During his graduate studies and his entry into corporate life he was startled by the differences between active service in the Marine Corps and life in the civilian environment and how difficult it was to make the transition between the two. He mulled it over for several years, and with the conviction of someone willing to take the plunge he started Fidelis in order to not just help military folks make it through the transition by pursuing higher education but also to partner with corporations and business to employ them upon graduation. Fidelis is much more than just a college and job placement firm. It goes much deeper than that; each student works with a transitional coach and a network of mentors who help determine long term objectives, interests, and goals. Once these are established, the coach and mentors guide the student through a tailored educational process that links their objectives with a personalized educational program that meets their educational needs. With Fidelis’s help, the student enters college and obtains their degree – but the company’s commitment to the student does not end there. The new graduate works with his or her coach, mentors, and the corporate sector to find the best employment fit. The commitment does not end on the first day at work, either. Fidelis is there for months afterwards to ensure that the transition process is successful. -2+2Plus: This program is for active duty personnel who know that they will be transitioning in the next year or two and don’t have a degree. They can take general education classes using the company’s innovative social learning platform that marries courses from the University of California with Fidelis’s learning program. Designed to get the student back up to speed educationally and prepare them for enrollment in a full-time college or university while still on active duty, the technology used is flexible, intuitive, and supportive of the demanding requirements that are part and parcel of being in the military. Once they leave active duty, the program continues as mentors and coaches guide the veteran to a college or university where they enroll in a program that meets their objectives and ultimately ends with placement in the private sector. -Pre-MBA Bootcamp: This program is for veterans who already have a college degree and are pursuing an MBA in one of the top 30 programs nationwide. In conjunction with UCLA the program prepares the student with courses in finance, accounting, and quantitative analysis as well as providing an opportunity to socialize and network with other students. -Silicon Valley Concentration: Designed for veterans who already have a four year degree and are interested in the technology sector, this program is focused on a specific degree or discipline. The program begins with a six week long course that introduces the technologies and companies that are the hub of Silicon Valley technology. The mentors and counselors then work with the student to determine which aspects of the tech world that they want to pursue, and collectively they create a pathway to get there through focused training that results in technical certifications that bring the student to the cutting edge of ever-changing technology. As with the other programs the mentorship and coaching does not end with a diploma, but instead follows the new employee as they pursue their new career. All of this is done with little or no cost to the student other than the costs associated with enrolling in school. The costs are borne by the companies that are investing in quality future employees and by colleges and universities who help educate veteran students. Fidelis provides a remarkable opportunity for transitioning military people who want to pursue higher education and find a new career. Take a look at what they offer- I am certain you will be as intrigued as I was!